We already know that Volkswagen is preparing for an electric future with its lineup of ID models. By building an entire range of EVs, VW is burying its tarnished image leftover from the Dieselgate scandal. In the US, this process has already begun as the German automaker no longer offers any diesel models (unless you count some old Touaregs from 2016 that haven't been sold yet). The story is a bit different in Europe where diesel is still an important option for consumers. 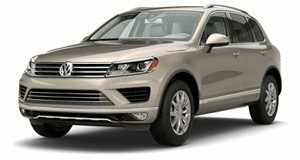 VW even offers an incredible 4.0-liter diesel V8 in the all-new Touareg, which produces 416 horsepower and 664 lb-ft of torque. This engine is the same one found in the Europe-only Audi SQ7 where it uses a twin-turbo setup plus a third 48-volt electric turbocharger. That's right, this amazing engine is technically a tri-turbo. VW deserves praise for building such an incredible motor, though it doesn't appear like we will have much time to celebrate the achievement. According to Autocar, this engine will likely act as a swansong for V8 diesel engines in VW products. VW marketing boss Jürgen Stackmann even told Autocar that he believes this engine will be rare and sought after like the old V10 Touareg. You may remember the first generation Touareg in the US, which was offered with a 5.0-liter twin-turbo V10 diesel engine producing 310 hp and 553 lb-ft of torque until it was discontinued in 2008. This same V10 was also available in the Phaeton in Europe and VW even built an R50 version of the Toureg with a more potent tune offering 345 hp and 627 lb-ft of torque. With 553 lb-ft of torque on tap, the old Touareg famously pulled a 155-ton Boeing 747, so just imagine what this new engine could do with 664 lb-ft. Even though the US won't be getting this new V8, nor the new Touareg for that matter, we are still sad to hear that it will mark the end of an impressive era of VW engineering.